Batt insulation may not be at the top of your list of ways to improve your home in Houston, Texas, but it can be well worth the effort. The right level of batt insulation offers a wide range of benefits including savings on your electricity bill and improved energy efficiency throughout the house. 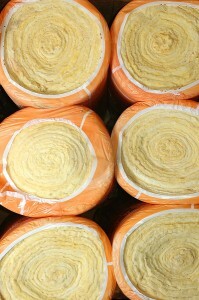 And no one knows this better than the experts at 31-W Insulation. Since 1972, we have been providing the materials and installation services homeowners can rely on when they’re in need of better insulation in their homes. If you notice any of these problems in your home, you can have 31-W Insulation complete a free home assessment to determine how much additional insulation is needed in your home and where. Your insulation specialist can also walk you through the options we provide, which include batt insulation manufactured by leading brands, such as CertainTeed and Owens Corning®. And, once you’re happy with your selection, our installation team will carefully and precisely install your new insulation. We are typically able to complete the project within a single day for your convenience. To learn more about why you should choose 31-W Insulation for all of your batt insulation needs, contact us today. We are proud to offer our services to residents of Houston, TX, and the surrounding areas.